Three-term U.S. 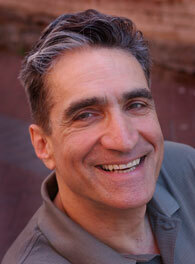 Poet Laureate Robert Pinsky will give a public reading on Sunday, Jan. 31 on the Emory University campus, part of the Raymond Danowski Poetry Reading Series at Emory Libraries’ Manuscript, Archives and Rare Book Library (MARBL). Pinsky's reading, open to the public free of charge, will take place at 4 p.m. in Glenn Memorial Auditorium, 1652 N. Decatur Rd. The theme for the 2009-10 poetry reading series is "Translations." For more information, call 404.727.6887, e-mail MARBL or visit MARBL's News and Events page. One of America's best-loved poets, Pinsky is one of the few members of the American Academy of Arts and Letters to have appeared on "The Simpsons." Born in 1940 and educated at Rutgers and Stanford, he is a member of the faculty at Boston University. His most recent book of poetry is "Thousands of Broadways: Dreams and Nightmares of the American Small Town." He is also the author of "Poetry and the World," nominated for the National Book Critics' Circle Award; "The Sounds of Poetry"; "Democracy, Culture and the Voice of Poetry" and "Essential Pleasures: A New Anthology of Poems to Read Aloud." While serving as poet laureate (1997-2000), Pinsky launched the Favorite Poem Project, which honors, records and supports the role of poetry in the lives of Americans. In addition to writing poetry, Pinsky has published several prose titles and released a computerized novel titled "Mindwheel" in 1985. His translation of "The Inferno of Dante" (1994) won several awards. Pinsky's many recognitions include the PEN/Voelcker Award, the William Carlos Williams Prize, the Lenore Marshall Prize, the National Foundation for Jewish Culture's 2006 Jewish Cultural Achievement Award in Literary Arts, and the 2008 Theodore M. Roethke Memorial Poetry Award. He is the poetry editor for Slate online magazine and teaches graduate writing courses at Boston University. The next reading in the series will feature Irish poet Eamon Grennan at 6 p.m. Tuesday, April 6, in the Jones Room of Emory's Woodruff Library building, 540 Asbury Circle. Grennan is a Dublin native and Irish citizen who has lived in the United States for more than 30 years. Educated at University College in Dublin and Harvard University, he is the Dexter M. Ferry Jr. Professor of English at Vassar College.